MXS The compact colour TFT dash logger for motorsports A wide range of data sources MXS is the dash logger designed to acquire and display data coming from your ECU, the internal accelerometer and gyro, as well as from the GPS08. Module included in the kit, analog/digital inputs and predefined math channels. Performance and data acquired can also be incremented adding up to eight expansion modules. Its 5" display has been specifically designed for small cockpits installation. MXS is a dash for road use. 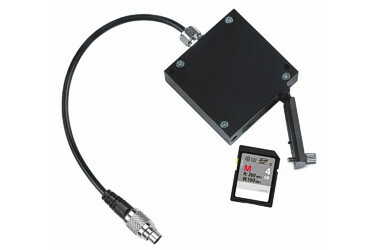 CAN outputWith the CAN Output you can send messages directly to an existing CAN network in order to improve the range of vehicle control possibilities. Freely configurable pagesYou can define all the custom pages you wish, choosing among a wide library of page styles, defining which data to be shown, their end of scale and measure units. Swapping between pages can be managed pushing one or two pushbuttons. High contrast TFT displayA high contrast TFT display identifies MXS at the first glance. An ambient light sensor keeps the backlight at optimum brightness levels. Flexible alarms MXS features six configurable RGB alarm LEDs: you choose the conditions, you choose the colors. Select a solid alarm or flashing one - and the flashing frequency, choose to have an accompanying text message, and set the alarm priorities. 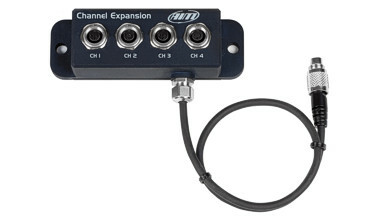 Two digital outputs MXS features two digital outputs. Integrated shift light array Choose from a host of advanced multicoloured RGB shift light patterns that can be customized as you like, and for each unique gear when required. 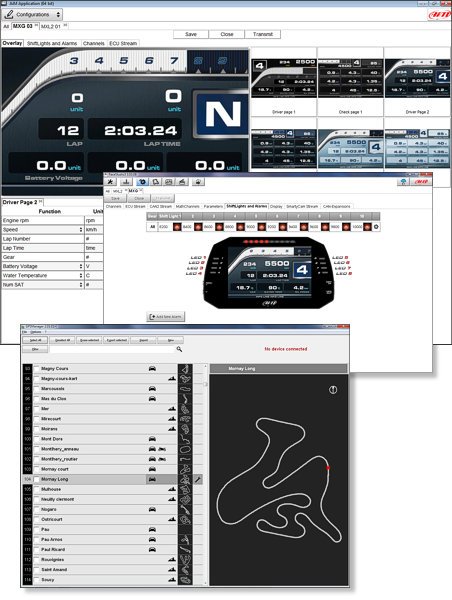 AnalysisWith Race Studio 3 you can also analyse all data recorded by MXS and downloaded to your PC: graphs, histograms and tables will help you study your performance, providing an objective support to avoid mistakes and improve performances. Wi-Fi connectivityMakes it even more convenient to configure, calibrate, and download your data wirelessly, using a secure 802.11 WiFiconnection: no need to move your PC closeto the vehicle anymore, you can do it from your van up to 50 meters away.